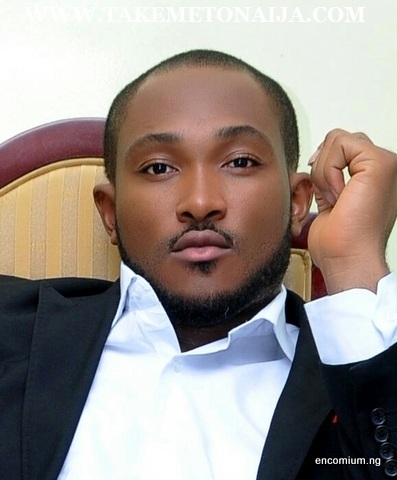 Blossom Chukwujekwu is a Nigerian actor, who started his acting in Nollywood in 2009. At the moment, he is one of the most loved movie stars in Nigeria. He’s featured in many movies and nominated for several awards since his debut. Born Chukwudi Echezona Chukwujekwu in Benin City, Edo State, Nigeria to Dr I.E and Evangelist J.C Chukwujekwu, Blossom Chukwujekwu is the first of two sons. He is a native of Otolo, Nnewi North in Anambra State, Southeast Nigeria. He attended Greater Tomorrow Primary School and Greater Tomorrow Comprehensive College both in Benin City, Edo State. For his tertiary education, Blossom opted to study Mass Communications at the Anambra State University of Science and Technology. where he spent a year. He completed his studies at the Benson Idahosa University, Benin City, Edo State after a brief stint at the Enugu State University of Science and Technology. While in BIU, he was President of the Association of Mass Communication Students (AMCOS) in the 2007/2008 session. He was also an active member of the popular House of Theatre (H.O.T) where he played the lead in the stage drama, Godless: The path to dawn. Blossom maintains that playing Ukemu in Godless was his eureka moment. In July 2008 he graduated with a Bachelor of Science degree in Mass Communications from the Benson Idahosa University, Benin City, Edo State. He moved to Lagos, Nigeria a few months after graduating to perform his National Youth Service Corps obligations. Blossom stayed back in Lagos to pursue his acting ambitions. BLOSSOM,YOU HAVE AN INTERESTING NAME. WHERE DID THAT COME FROM? ‎​Yeah I get that a lot. It came in secondary school when it seemed pretty cool to have an English name. I didn’t have one at the time so I search for. Mum’s pet name for my dad is Blossom, I liked it and picked it. I thought it was cool. Never knew it was gonna stick as much as it did. I must state that as a true son of Nnewi from Anambra state, I’m very proud of my native name, Chukwujekwu. The richness is unmatched. WHEN DID YOU KNOW ACTING WILL BE YOUR PROFESSION? 2006! I was in my 3rd year in the university and playing the lead in a major school play titled, Godless. Of course before then I had decided I wanted to act. But the effect of that performance on not just me but the audience and the aftermath, sunk it in that I was born for this. I still can’t describe the feeling, it’s inexplicable and came with a weight of responsibility. WHAT WERE YOUR FAMILY’S INITIAL REACTION WHEN YOU TOLD THEM YOU WERE GOING INTO ACTING? Ah!! My mum flipped at first o. It took a lot of courage for me to tell her I had changed my mind from the “prestigious” Law to Theatre Arts. Of course there was the “acting is for drop-outs” speech. Especially coming from a family of lots of doctors and engineers. So it was a No! But something funny happened, later that same day in church, the preacher, as though speaking to her, admonished parents to let their kids follow their dreams and passion. She came home and gave me her support. My dad shockingly didn’t object. He only asked if I was certain about my choice and I had his blessings. Although every now and then they tried to sway me to seemingly “more professional” courses which is why I ended up studying Mass Communication but I have had their support all the way. In 2009, after several auditions Chukwujekwu landed the lead role in the yet to be released Nigeria soap opera; Portrait Of Passion. That same year he was cast in his first feature film, Vivian Ejike’s Private Storm alongside Omotola Jalade Ekeinde and Ramsey Nouah. Blossom was profiled on Africa Magic’s Nollywood show, Jara, as one of the top 5 actors to watch out for in 2013. He was number 4 on ace Nollywood director, Charles Novia’s, list of the best actors of 2013, In 2012 Chukwujekwu landed a role in Flower Girl which was his breakout movie. Released in 2013, it achieved critical and commercial success in Nigeria, Ghana, the United Kingdom and film festivals in the USA and Canada. Chukwujekwu’s next block buster feature film, Finding Mercy, was one of the most anticipated and successful movies of 2013. It was the closing film at the African International Film Festival (AFRIFF 2013). private traditional wedding ceremony on Saturday, December 19. Actress, Linda Ejiofor, shared a picture from the ceremony on Instagram while congratulating the new couple. Location of the ceremony, which was attended by very close family and friends, was however undisclosed. Can you play a gay role? I am an actor and we are interpreters of truth. There’s no role I can’t play, even a woman. It just depends on when I am ready to explore that creative depth. If I decide to turn down any role, it will be because I don’t agree with the message of the story or the Producers aren’t doing it for the right reasons or I am simply not ready to explore that depth. Tell us something weird about yourself that fans would love to know about. Will children read this? (Laughs) Well, I like to walk around my house naked. What are those three things you can’t do without? There’s nothing really except, of course, my bible as with that I can get anything I want even in the desert.